Let’s see… Paying for votes? Check. Tricking the mentally disabled? Check. And now, preying on those who struggle with the English language? Check. Democrats in upstate New York seemingly left no stone unturned, no voter they would not swindle, in an attempt to steal past elections. Testimony from voters in the city ballot-fraud case revealed the tactics politicians and political operatives used and the promises they made to allegedly convince residents to sign over their voting privileges. By ‘politicians and political operatives’ they mean ‘Democrats and Democrat operatives’. There is after all, no other party on trial here. Testimony also showed operatives may have targeted immigrants and other people not familiar with the English language or the U.S. election process. Those witnesses needed a Spanish interpreter just to get through their testimony. Maritza Berrios said she was not even registered to vote in 2009. Shown an absentee ballot with her signature, she said it was not hers. Johanna Torres said she just did what she was told. “He said sign here and I did and that was it,” Torres said. 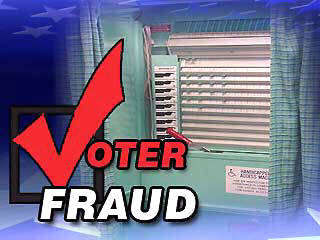 Thus far, eight people have been charged in connection with the ballot fraud investigation, four of which have pleaded guilty, with two currently on trial. This promise is clearly coming to fruition. The trial involves Democrat Board of Elections Commissioner Ed McDonough, and former Councilman Michael LoPorto, who combined, face over 100 total charges that include second-degree forgery, second-degree criminal possession of a forged instrument, and second-degree criminal possession.